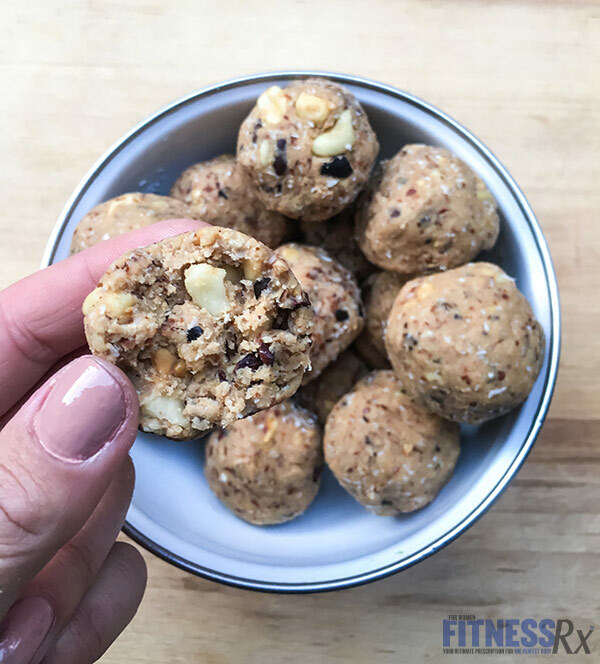 Cookie dough bites that are good for you?! Umm whaaaat?! Yup, this another one that falls into the gluten-free, sugar-free, paleo, vegan and chemical-free categories. Generally, I’m a huge fan of a protein ball, but I have to admit that these would have to be up there with the best that I’ve had. 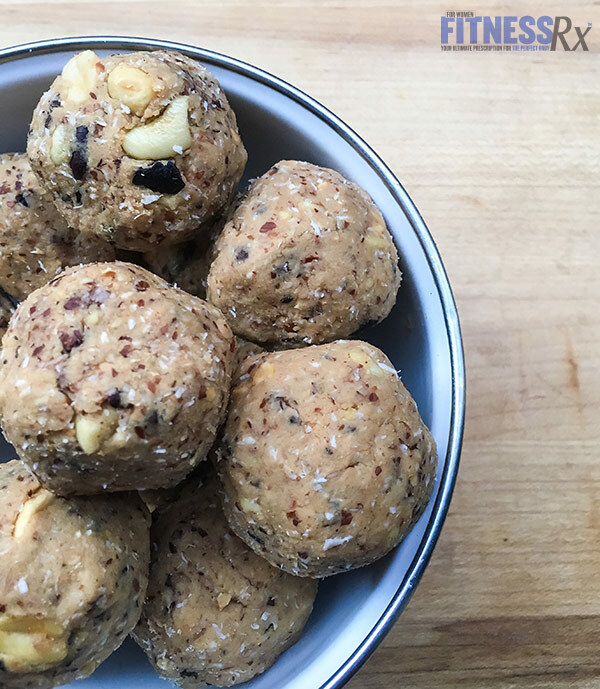 Packed full of protein and good fats, these balls are a great energy boost and free of any nasties. They are super quick and easy to make, and they taste so good it might be hard to keep them around for long. 1. Take the peanuts and the cashews and give them a quick five-second whiz in a Bullet blender. The idea is to keep them rough and chunky. Transfer them to a medium-sized mixing bowl. 2. Add the remainder of the dry ingredients to the mixing bowl and stir until combined. 3. Add the apple sauce and get mixing! The mixture should start to be getting a little dough-like. You want this to stay on the dryer side but still mould-able. If it’s too dry, add 1 tbs of water and stir again. 4. It’s now time to be a baller and get rollin’! Aim for balls about 1 inch or so in diameter. The mix should make around 15-17 balls depending on size. 5. Store in an air-tight container in the fridge and enjoy!